Ajamoda (Ajavayan), Marica (black pepper), extract of lemon, Jiraka (cummin seed), black salt, Jangha Haritaki, Hingu (pure), etc. Digests food, so there is no occurrence of gas & acidity, etc., caused by indigestion. Instantaneously cures feeling of heaviness of abdomen, flatulence, colic pain and anorexia after food. 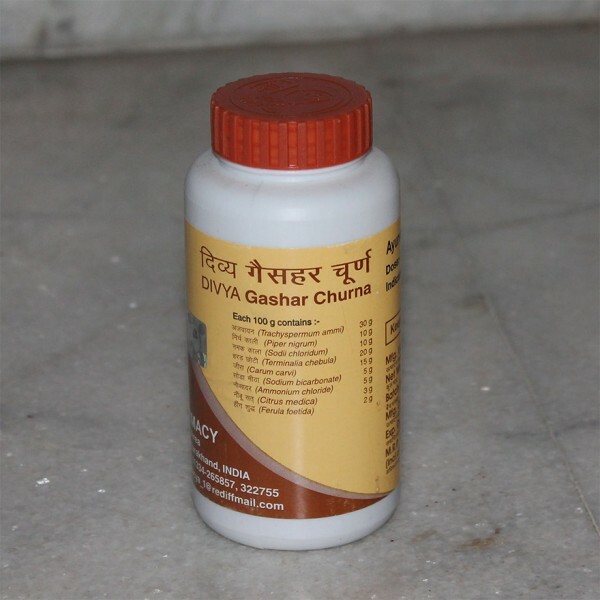 This churna keeps away the gas of abdomen.